Paul Kirk, aka The Baron of Barbecue, was one of the founding fathers of the modern day competitive barbecue scene. Paul is a member of the Barbecue Hall of Fame, was a founding member of the Kansas City Barbecue Association and served as a Board Member for 24 years. Paul has hundreds of awards under his belt including seven World Championships. Paul’s reputation as one of the world’s best brisket cooks is well deserved. His book, “Paul Kirk’s Championship Barbecue” is a monster of a text that comes in at just under 500 pages. It is a book that belongs in the home of anyone who is serious about turning out great barbecue. Paul’s published his book in 2004 and, in general, the recipes are not in line with what wins at KCBS competitions today. There is no Waygu brisket or butter bath cupcake chicken thighs in Paul’s book. 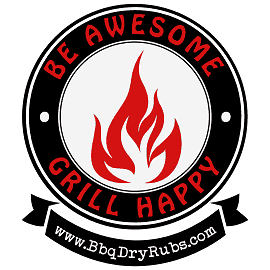 What “Championship Barbecue” does have is deep barbecue wisdom that will serve you well regardless of whether you are a backyard smoker or a competition team looking to build you skills. By now the astute reader who started this chapter and has read all the way through to this point will realize something. 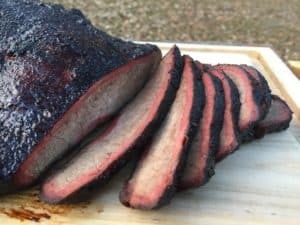 After yammering on about how much I love brisket and providing lots of in-depth information on how to barbecue it, I’ve given you only two barbecued brisket recipes. Am I keeping all the prize-winning ones to myself? Am I afraid of the competition? The answer to both of these questions in NO. Getting really good at barbecued brisket is a hands-on thing. It’s more about technique-managing and maintaining the temperature and smoke levels-than about recipes. I want to encourage you to get into brisket like I did-by doing, not reading. The trick to reading Paul’s book is to realize that he is understated. Most people miss out on tricks Paul shares because he doesn’t hit you over the head with them. He tells you once. You can either choose to pay attention or not. In addition to brisket, Paul offers up ways to barbecue and smoke just about anything else you can imagine. His section on sausage is pretty strong. If you want highly detailed, step by step instructions for how to win a KCBS championship then this book will not meet your needs. 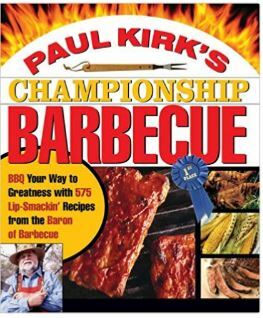 That being said, I will be willing to wager that the cook that takes home the Grand Championship at the next KCBS completion has a copy of Paul Kirk’s Championship Barbecue sitting on their bookshelf.